I just love the flavor combination of tomato and basil in anything. This recipe caught my eye from a monthly Pampered Chef newsletter a couple years ago. I loved the result and we've altered it to our liking. The original recipe can be found here. 1. You will need 1t. basil infused olive oil (you can also use plain), 1t. 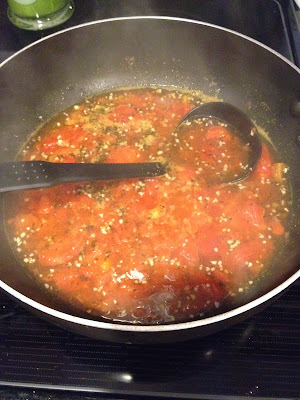 crushed garlic, 2 cans crushed tomatoes, 1c. chicken broth, 1/2c. water, and 1T. basil leaves for the soup. For the dumplings you will need 1/2c. 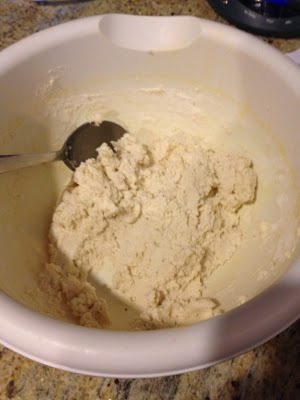 fat free ricotta cheese, 4T. parmesan cheese, 2 egg whites, 1/2t. salt, 1/4t. black pepper, 2/3c. flour. Even though we doubled some parts of the recipe, we did not double the broth or salt because we thought it was a little salty the first time we made it. 2. For the dumplings, we doubled the original recipe because we love that part of the soup. Mix the ricotta, parmesan, egg whites, salt, and pepper in a medium size bowl. 3. Add the flour and stir until just combined. If it seems too dry, just add a bit of water. 4. For the soup, put the oil and garlic in a saucepan (or wok like I used) and cook until it begins to brown on medium heat. 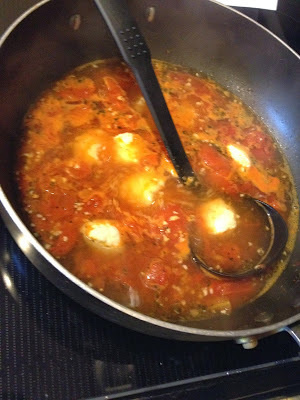 Add tomatoes, broth, water, and basil. Reduce heat and simmer 5-7 minutes. 5. 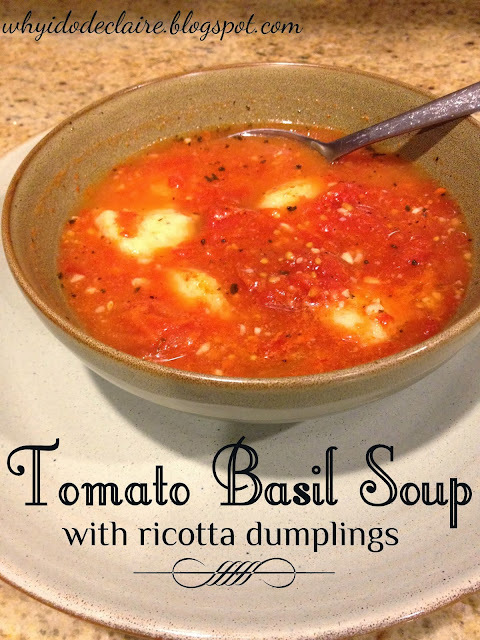 Use a small ice cream scoop or two tablespoons to form dumplings and drop them into soup. Dumplings are fully cooked when they float to the surface. Serve with garnished with fresh basil and fresh parmesan cheese if desired. Nom, nom, nom! 1. 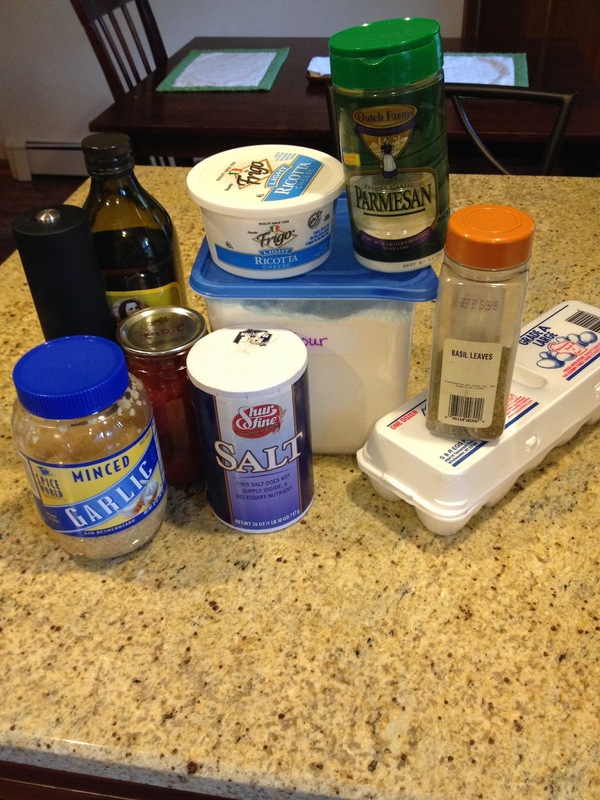 Combine ricotta, parmesan, egg whites, salt, and pepper in a medium bowl until mix well. Add flour and stir until just combined adding more water if too dry. Set aside. 2. Add garlic and olive oil to saucepan and heat over medium heat until garlic just begins to brown. Add remaining soup ingredients and reduce heat simmering for 5-7 minutes. 3. 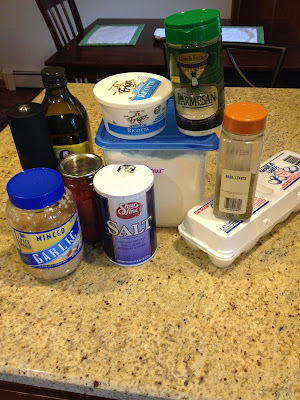 Form ricotta dumplings with two spoons or ice cream scoop. Cook for a couple minutes until dumplings float to top of soup. 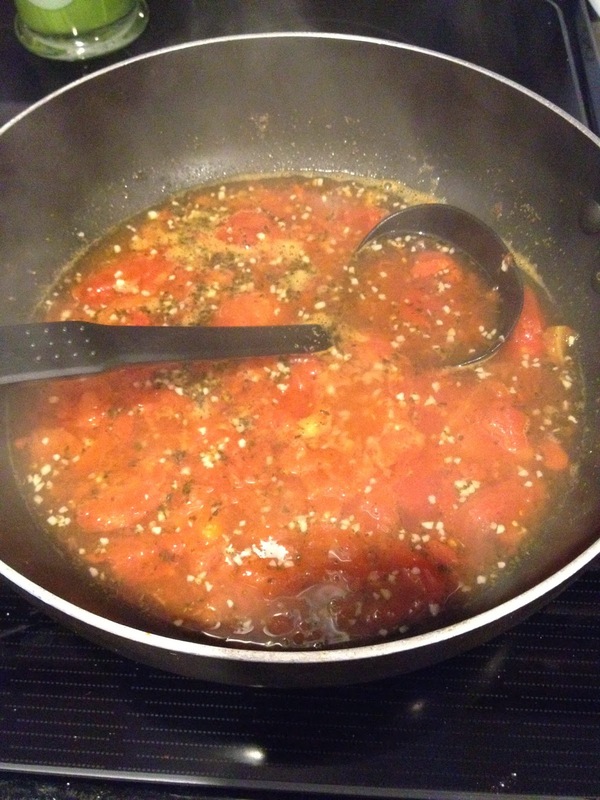 Serve warm garnished with chopped fresh basil and parmesan cheese if desired. Tomato and basil is one of my favorite flavor combos, too! Sounds so yummy right about now! Oh yum! 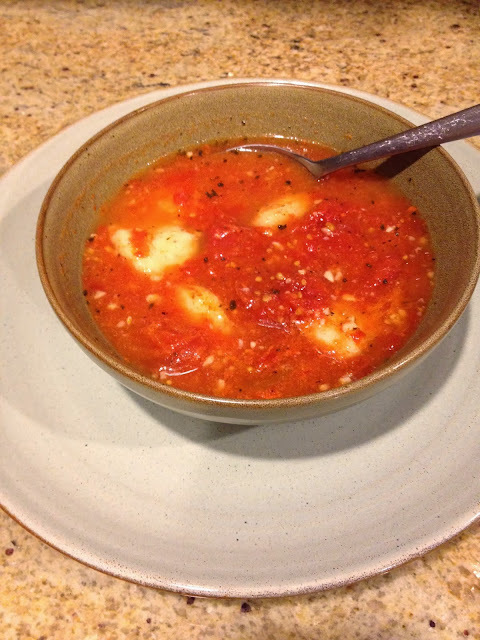 Tomato Basil Soup has to be one of my favorite recipes in the colder months! Mine too! I love it paired with a grilled cheese for lunch on a weekend! You'd think I was half Italian or something! But really, as soon as the weather starts to cool off, I just love any kind of soup for dinner! Wow, this looks fantastic! I'll substitute the chicken broth for vegetable broth to make it vegetarian for my family - I can't wait to try it out!